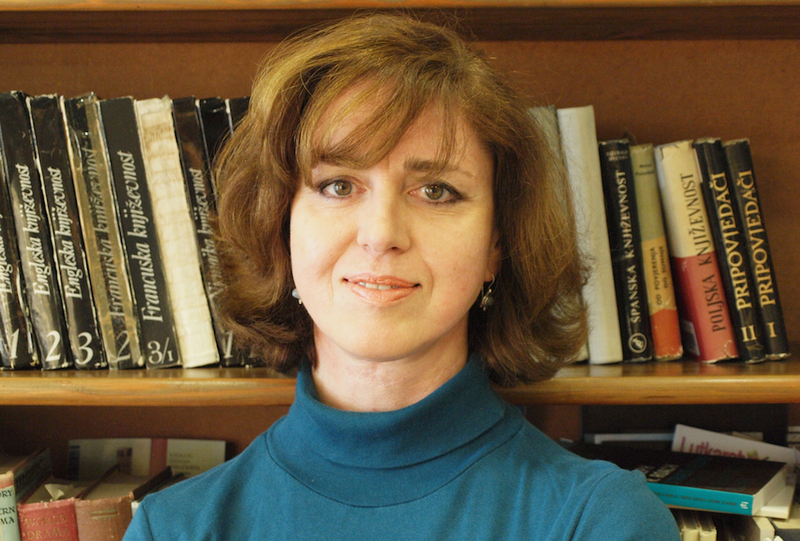 Helena Pericic, who is a full professor at the University of Zadar, has been writing poetry, plays, and prose since her school days. As a student she worked for Zagreb Youth Radio 101. She was one of the founders of the Glasje literary and art magazine, published in Zadar in the early nineties. During the Homeland War (the Croatian war for independence, which lasted from 1991 to 1995), Helena was a writer, editor and host of Usprkos (Defiance), a nightly broadcast on literature and culture heard on Donat FM radio. With her students, she founded the Student Literary Club of Zadar University in 1994. In May 1995, the students and actors of the Zadar Puppet Theatre staged My Colleague, This War is Lasting too Long, a dramatization of her prose, poetry and broadcasts during the War. In 2006, her short story “Carmen, Nastasja, Pelerina,” was selected for inclusion in an anthology of Croatian women prose writers:1964-2004, Each Story Her Way (Svaka priča na svoj način), ed. Tomislav Sabljak, Zagreb, MD, 2006. In 2008 her poem “So What…” was published in an English translation in the Irish poetry magazine, THE SHOp. Several of her literary texts have been published abroad in English. On the Red Horse, Peter and Paul, A Small Book about a Big War (Diary Entries, Articles, Letters, 1991-1998)/O riđanu, Petru i Pavlu – mala knjiga o velikom ratu (Dnevnički zapisi, članci, pisma, 1991.-1998. 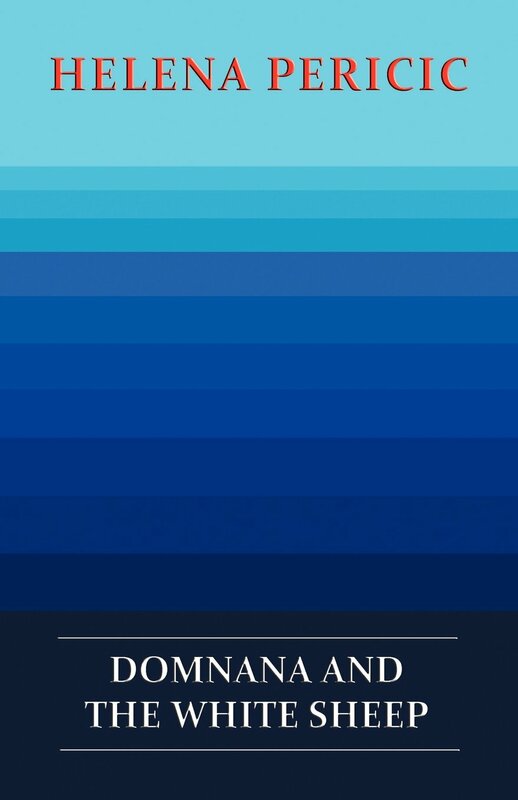 ), was released by Cambridge Scholars Publishing in 2010 and Domnana and the White Sheep (Stories on Contrition/Prostration) by the Croatian Writers’ Association in 2007. MMD: Helena, it’s been twenty years since the Homeland War ended and it seems a fitting time to ask you about how the war affected you as a writer. It was only in 2006 that your autobiographical writings about your experience were published in Croatia as O riđanu, Petru i Pavlu (dnevnički zapisi, članci, pisma... 1991 – 1998) and four years later in a bi-lingual version under the title, Peter and Paul, A Small Book about a Big War (Diary Entries, Articles, Letters, 1991-1998). Why did it take you so long to approach the War as a subject? I gather you had some hesitations about publishing this book. Is this true? HP: At the beginning of my autobiographical essay, “Does it make sense to write during war? Does it make sense to write about war?” in which I discuss writing On the Red Horse, Peter and Paul, A Small Book about a Big War (Diary Entries, Articles, Letters, 1991-1998), I mention a sentence from Jean Améry: “Today during the air raid I tried to think about Herder.” I believe that we who are professionally involved in (teaching) literature, who spent years under the grenades and shells, have a special perspective towards the war and writing about it. For years after the war I was not able to reread my own notes written during that time. Generally speaking, the worst traumatic experiences usually result in silence. It's up to you (as a writer and a witness) to choose whether you will or you will not break the silence and in what way you will eventually do that. Writing about war may be connected with writing about politics and ideology. However, I tried (and hopefully, succeeded) in avoiding an ideological stance; I wanted to describe the position of an individual and an intellectual surrounded by the madness of war. I had to hold back on publishing even though my writing actually was liberated from politics and ideology. Why? Because some politicians and ideology leaders will not forgive you for ignoring or not favoring them. MMD: Dubravka Ugrešić and Slavenka Drakulić are two Croatian women writers who are well known here in the States, particularly for their writings about the Homeland War. Your book, Peter and Paul, A Small Book about a Big War (Diary Entries, Articles, Letters, 1991-1998), is very different from the way these two authors interpreted their wartime experience. It is, as you note in the title, a “small book” focused inwards, on the actions of a woman and mother who has no agenda except trying to survive the war. One of the things you particularly do well is capture the boredom, violence and uncertainty of wartime. Do you believe there is a woman’s voice in war literature? MMD: You are a poet, critic and short story writer. Which of these media do you feel the most comfortable in? HP: I believe that a person who considers himself/herself a writer, who recognizes his/her ability to write about historical, political, social, and cultural phenomena passes through phases of different creative sensibility during his/her lifetime. In my younger years (even when I was a little girl) I started with writing poems. I also wrote them in my thirties, during the war. (I write them even now, but do not show them to anyone since I do not consider people to be particularly receptive to poetry today. You may not agree…) There are events, states of mind that call for different forms of verbal expression. In the war and in the late nineties I wrote a collection of plays dealing with the experience of war. Nowadays I like writing short stories and essays. MMD: Although you’ve lived in Zagreb for a long time and taught and lectured in Europe and the States, Zadar is your hometown. Do you consider yourself a Zadar writer, i.e., a regional writer? If so, what makes a Zadar writer? Language? An ability to evoke a certain mood and place? MMD: As a follow-up where do you look for inspiration in your writing? HP: I look for inspiration in everyday life, situations, emotional episodes. The character Domnana in my story, Domnana and the White Sheep, was a historical person from the 11th century; she was a Benedictine nun in Zadar, but I describe her as a very modern and tragic figure. There is a subtitle to the book: Stories about Contrition /Prostration, which are “dedicated to men and women who had the courage to become/remain contrite the first towards the second (and vice versa)”. I think that this dedication explains the main motif of my writing, no matter if we discuss poetry or prose or playwriting. Everything in that book was a product of my imagination combined with the so-called literary form(s) of story-telling. In the ancient Egyptian verses you may find the sentence that a beautiful thought may be found in a hand of a servant. Anything can be a matter of literary expression. However, a potential writer has to notice and be sensitive to everything he/she is surrounded with, while the reader, on the other hand, has to be perceptive and show interest and understanding. Both of them belong to the same process, and cannot exist one without the other. Yet, I must add that the process and that kind of communication has become more complex and demanding in our time. The ability to perceive and to focus are not comparable to those in the past when people used to read under the light of a candle. At the beginning of the 21st century we are the creatures of light-effects, pictures (on a screen) and spectacle, therefore: of ephemeral attention. In our attempt to “communicate” faster we have lost (the meaning of) many words and an attention towards words in general. Moreover, modern writers have become the “hostages” of trendy topics, the rules of the book market and critics, and the influence of the important writers from the past. The form, expression of our writing can hardly be original. But, we have been doing our best. MMD: What writers are you reading right now? HP: At the moment I’ve been reading several authors: Marguerite Duras (The Afternoon of Mr. Andesmas); Roberto Bolańo (The Savage Detectives) and Alain De Botton (How Proust Can Change Your Life).